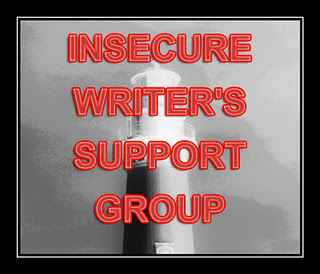 It's the first Wednesday of the month and time for another round of the Insecure Writer's Support Group hosted by the amazing Alex J. Cavanaugh! Okay guys, it's time I tell you the truth. The truth is... I struggle. Ha, you guys already knew that! This is IWSG after all. Am I good enough? Will I ever write the way I want to? Will I ever sell books the way I want to? That unknown future is a frightening thing. Even more than that, you never know how you'll be received by strangers. Of course, this business is so subjective, not everyone's going to love you, that's a guarantee. Still, it doesn't stop me from wondering. Can I do it? Will I be good enough? It won't stop writing, it's my passion, but I can't help pondering upon my skills. Am I'm really cut out for how many hours I put in? The truth is, I'm always going to be insecure. The truth is, I'll question my work. But the truth is, I wouldn't change a thing if I had the choice to do it all again. I wouldn't change a thing either. For all those insecurities, the rewards are worth it. Courage means you keep going regardless of your insecurities. You are courageous, and no I wouldn't change a thing either. You know, writing is just hard, and I think you're well on your way to totally rocking it. Just sitting down to write is the biggest hurdle, and sure there's room for improvement, but that's just a matter of time and practice. You'll get there. I feel the EXACT same way. Every. Single. Day. But every word we write makes us better writers. Those hours you have put into have paid for themselves. I think that fact that you'd do it all again proves you're cut out for this. I believe in you! I doubt my skills like this all the time, too. It's a side-effect of creativity, I think! The future is scary, but also exciting! The insecurity never really goes away but it goes hand in hand with writing and it's always worth it! Ah yes, the familiar fear in all our minds... but we shall conquer it! It is true we have to do it anyway. If we let insecurities hold us back we can never be the people we wish to be. So true. I don't know that we ever "get over" being insecure. I think we learn to live with it a bit better and learn that books still get written in spite of it. I think questioning the quality of our work is what drives us to improve and continue to learn. Nice to meet you. Did you know that Liberace taped positive affirmations to his mirror and would say them to himself every day. "You are loved." "You are great, not merely 'good enough.'" And you gotta realize that ol' Liberace probably had a tough time of it. You are a writer! You will succeed! It's ok to be insecure, as long as you accomplish what it is that you set out to do! Hey I struggle too and I love writing to death. Honest and heartfelt, Jennie. I relate on so many levels. Thank you for sharing! you said the key word "passion". and because of that passion that drives you to wake up and do it all over again, to have those insecurities at your beckon call being the angel and demon on your shoulder arguing...you will be successful. the passion will drive you to never give up on what you ultimately dream to do. hold on to that passion. make it a sign somewhere for when you start those 'shoulder" arguments again and remember what brought you to writing in the first place...that passion.